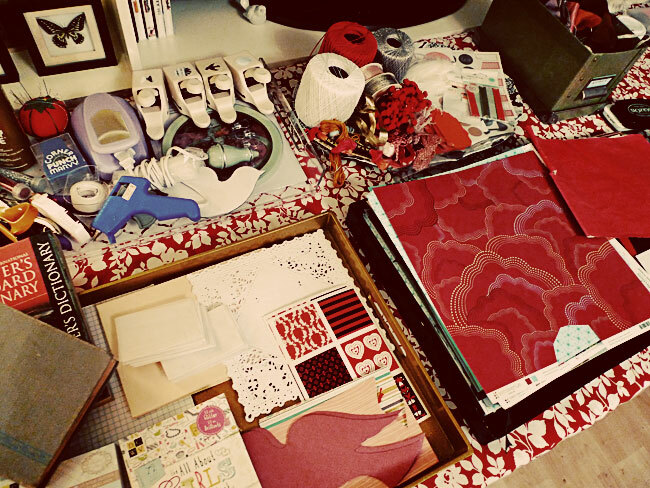 I had a little Valentine crafting party with a few girl friends this past weekend, and it was so much fun. I didn't worry with a fancy dessert table since the our focus was on crafting, but we did throw together some tasty treats. Annie brought a gigantic Symphony chocolate bar, Katie made mini hazelnut pancakes with a raspberry sauce (!!!) and cheesy toasted baguette with a rhubarb compote. I had some sugar cookies, chocolate dipped strawberries, and salted caramel cupcakes. 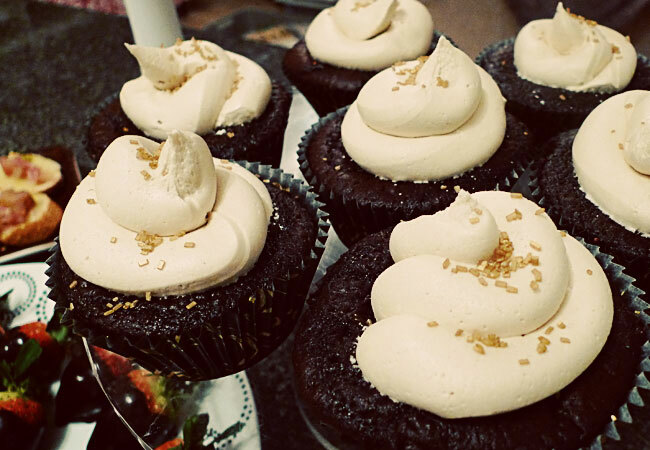 The cupcakes, oh the cupcakes... they are the stuff dreams are made of. Of course, I was rushing around and just threw them together, so I'll have to recreate them from memory before I can post the recipe. I'll do my best to have it up within a week or so. I set up a folding table to house all of our crafting supplies, and semi-organized them in trays. 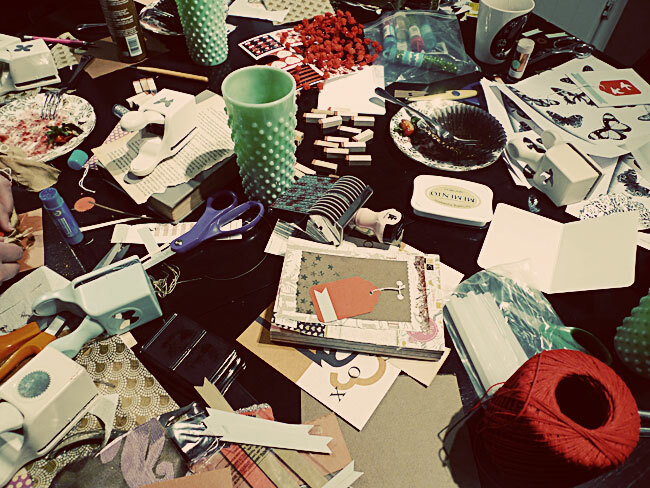 I know the table looks like a disaster zone, but that's what happens when you are furiously crafting. 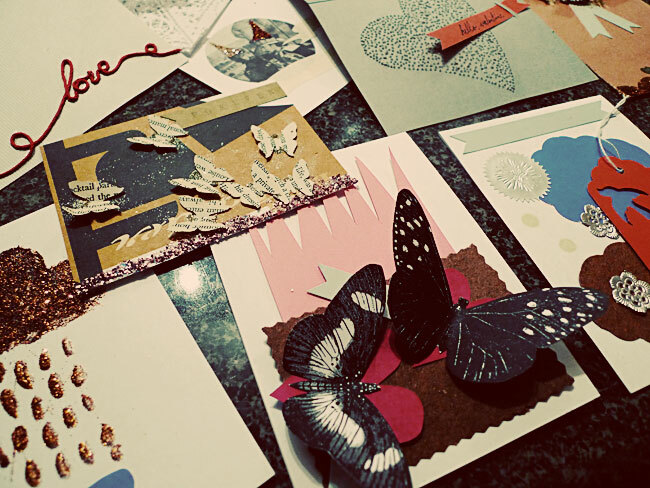 Some of our Valentine creations... it was so fun to see our different personalities emerge through paper, glitter, and glue. - bought some seeds! need to get my garden started. - accepted to Crafty Feast!